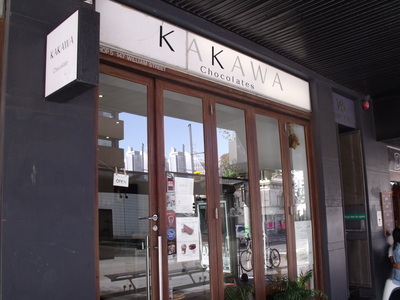 If you or someone you know loves chocolate, then a visit to Kakawa Chocolates at Darlinghurst will be an absolute treat. 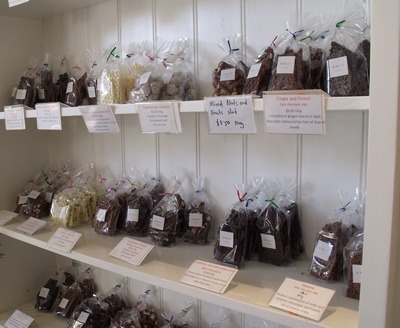 From the moment we stepped inside, the smell of freshly made chocolate filled the entire shop. If the aroma was any indication of the product, we knew this would be something wonderful. The store itself was not very large. The wall and counter areas were lined with beautifully decorated chocolates. The back half of the shop was an open kitchen, where we were lucky enough to watch the young girl making some white chocolate fudge. 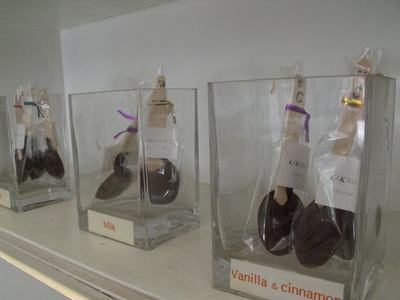 I loved the idea of being able to see chocolate being created and decorated into a final product. There was an endless list of flavours that were available. 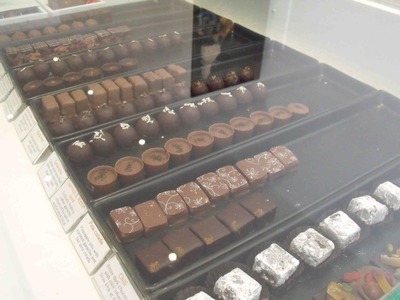 Chocolates and truffles ($2) came in flavours that included Mango and Passionfruit, Rochero, Fig and Port, Earl Grey Tea, Banana caramel, Hazelnut, Champagne, Pina Colada, Strawberry and Balsamic vinegar, Orange and Rhubarb - as well as Chilli. For those who prefer something savoury, there was even a Caramelised Olive chocolate available. 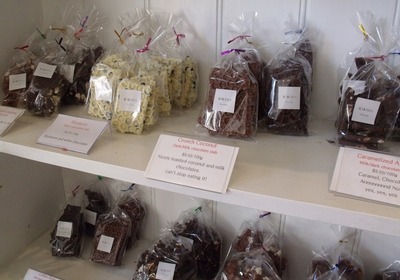 Also available were Chocolate bars ($5.50), Fudges ($8.50), Caramelised nuts ($9.50), and also Ice cream sandwiches ($5). 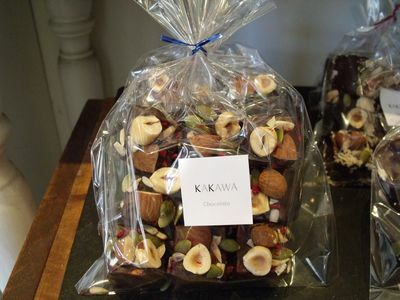 If you are looking for gift ideas, you might like to purchase the Kakawa spreads, Hazelnut Praline or Sea Salted Caramel ($12). 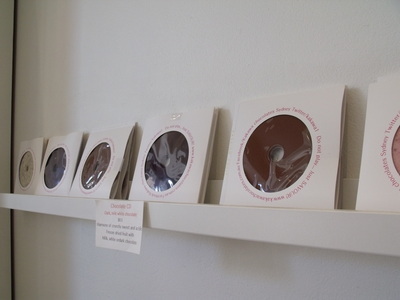 Perhaps for something a little different, you can purchase one of the Chocolate CD’s ($8.50). For our take home pack we purchased the Sea Salt Caramel, Raspberry Delight and the Milk chocolate bonbon. Our take home pack lasted the two minute walk back to the car, where like two small children we proceeded to rip open our goody bag and began eating. We have no self control. The Sea Salt Caramel is their most popular seller, and I know why. Do not waste your time biting into this little gem. Put the whole thing into your mouth and then bite. It is like an explosion of caramel syrup inside your mouth, and with a hint of sea salt combined with the dark chocolate, I was a happy girl. Yum, seriously this was just beautiful. 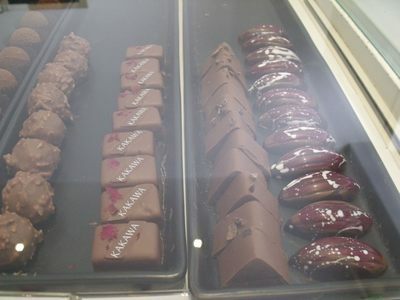 The milk chocolate bonbon and the raspberry delight were equally as delicious. However, the sea salt caramel was the absolute highlight. The quality of their products is of a very high standard. 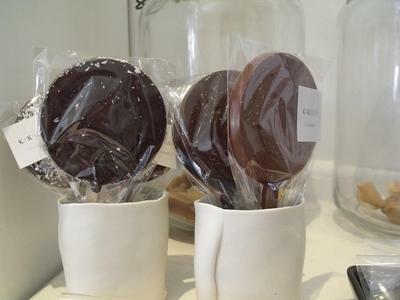 From the aroma, to the presentation and most importantly the taste, you will really love their chocolates. Where: 147 William Street, Darlinghurst, and also at Gaffa Gallery, Ground Floor 281 Clarence St, Sydney NSW. Do you know the signs of ageing?